Our CROSSRISKS Project is intended to be an integrated cross-border approach by combining investment policies and instruments, thus improving the mutual cooperation and training as far as risk prevention and disaster management are concerned. The project partners shall improve the control and the practice of the command chain processes within the local and cross-border operations of removal of fires, explosions and industry accidents, thus contributing to the improvement of the quality of interventions in the targeted cross-border area. The promotion of investments by approaching specific risks, ensuring intervention in case of disasters and developing a disaster management system are another major goal of this programme. 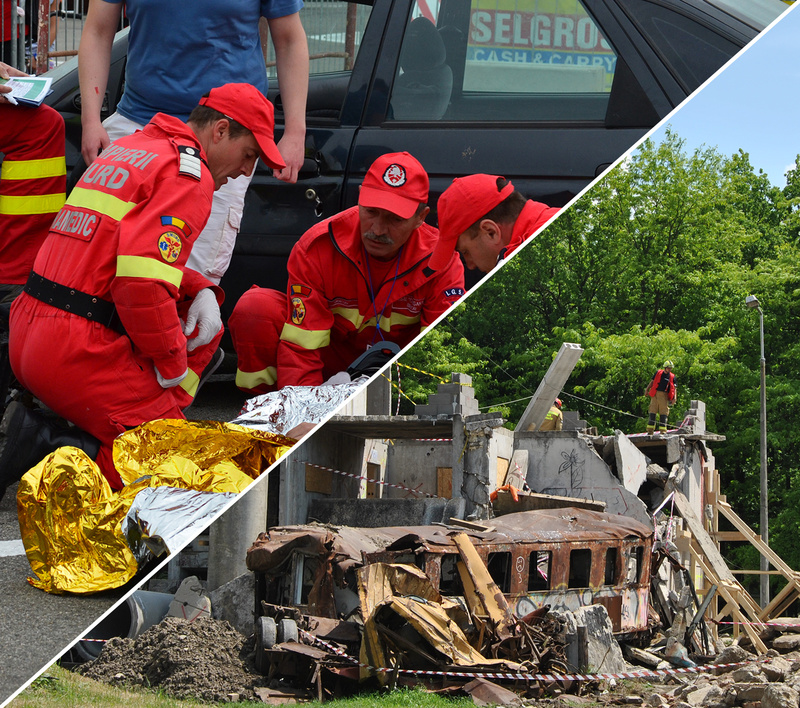 Based on the experience and the knowledge accumulated in the past few years on the management of various emergency situations in the cross-border area, by both the „SERVICIUL PENTRU ASISTENȚĂ ÎN SITUAȚII SPECIALE-SARTISS” Association, the DIRECTORATE FOR DISASTER MANAGEMENT IN THE HAJDU-BIHAR COUNTY- Hajdú -Bihar MKI, and the “CRIȘANA” INSPECTORATE FOR EMERGENCY SITUATIONS – ISU CRIȘANA (associated partner) and considering the existing needs, respectively the evolution of the risk types, the project partners promote, through the ”Integrated cross-border approach for improving the cooperation and joint preparedness on risk prevention and disaster management at the level of Bihor Hajdu-Bihar Euroregion” (project code: ROHU 84, acronym: CROSSRISKS), an integrated cross-border approach combining investment policies and instruments, thus improving the cooperation and the joint training on risk prevention and disaster management within this Romanian-Hungarian border area.